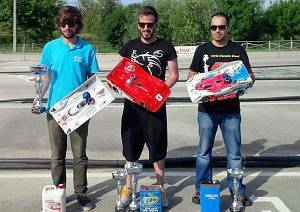 2014 Bulgaria GP National Championship ! Good News From Brazil! ! I just got back from the last round of national championship. 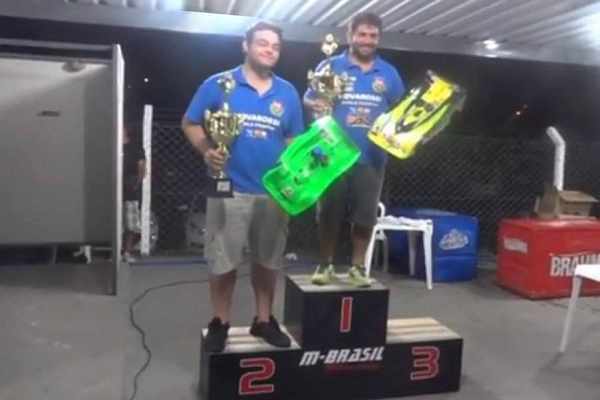 Unfortunatelly for me the title has not come this year, but we showed a very solid performance and my team mate Demian Diniz became champion on both Sporstman and Masters classes. I was on fight for the title against Brazilian star Flavio Elias, but as the championship has 3 rounds, being 2 of them held on his own track, my task was really hard. 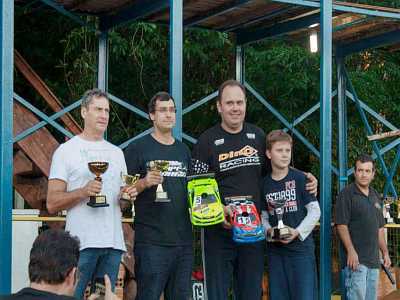 Demian Diniz already won the title with 2 first places in the first two rounds. 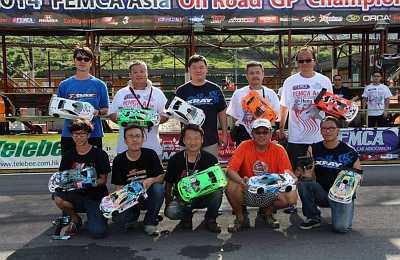 He also lead the 3rd round final most of time, although an engine flameout ended his chances this time. 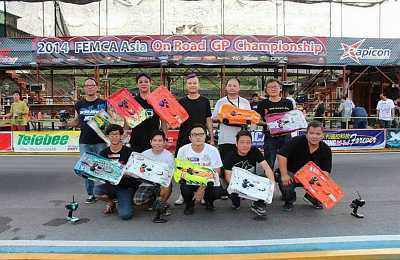 Demian fought hard against title contender Rafael Yamamoto ( Kyosho ) and managed to win the 45 minute final to get his 2nd title ! ! 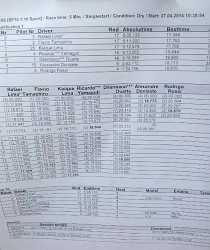 I worked a lot on car setup and tires trying to match Flavio Elias’ pace. 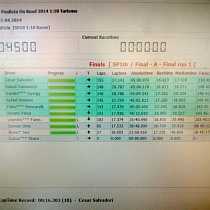 During qualifying rounds we ran a class of our own, with a much faster pace. 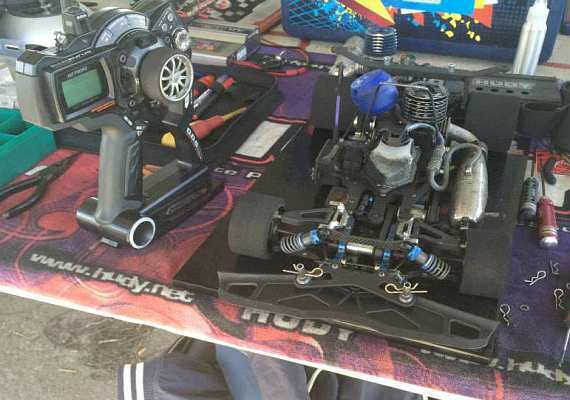 In the last round my car was amazing and I was on TQ pace, but made a mistake and could not finish as a steering linkage popped off. 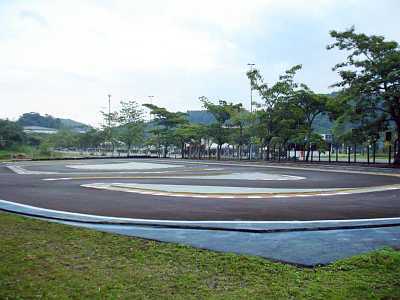 The track is super fast and has no curbs, all track layout is surrounded by solid concrete borders, one single mistake and the car is broken. 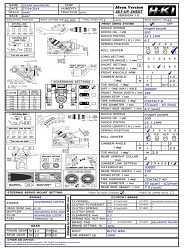 o a glowplug failure. With this result I became vice-champion. 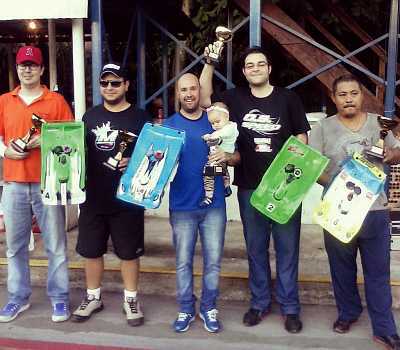 My team mate Fabricio Zamperetti finished on 4th place, but he wasn’t able to attend the first two rounds. 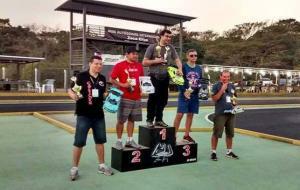 The race went OK, I’m quite novice in 1:8 scale and Flavio was racing for his 10th title in this class at his own track. 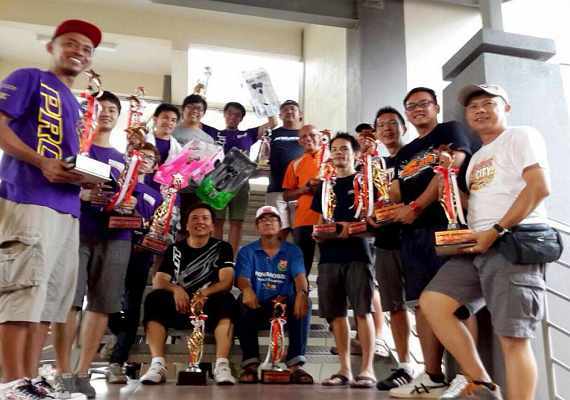 I just could not match his pace and just drove my race, also had some problems with backmarkers, damaging my body sell and rear tire, but still managed to control my race and did not change tires, finishin on 2nd place to become vice champion as well. 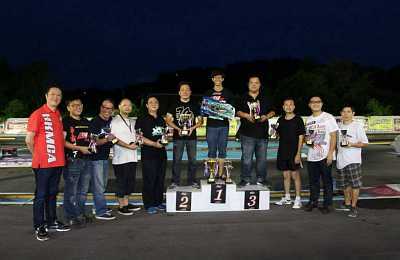 Great Victories for H-K1 and K8 in Malaysia GP! ! ! 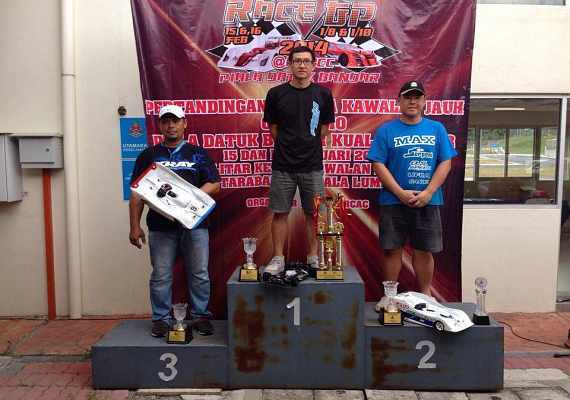 Merdeka GP Challenge 2014 Malaysia (16-17 August) The Merdeka GP Challenge was held at the beautiful track at Kepong KLIRCC Malaysia. 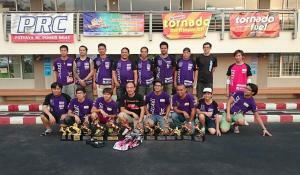 This race had a total participant of 135 racers for 1/8, 1/10 and GT categories. 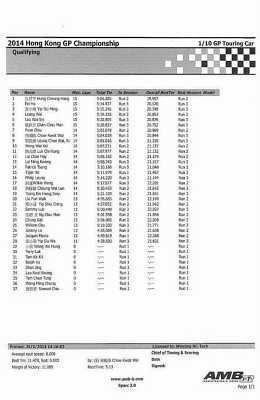 Definitely one of the biggest race in Malaysia this year. I took part both 1/8 and 1/10. The competition is steep, we have countries from Singapore, Thailand, Indonesia, Brunei and Malaysia competing in this race. During Saturday qualifying, we only had 2 rounds of qualifying due to early morning rain. My K8 was doing well and I had a reasonable pace on big tires. I manage to qualify 4th on the grid. 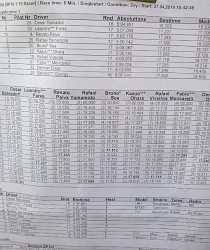 As for my H-K1, I only managed to qualify 10th position. In the (1/8) 60 minutes final, I was able to keep a consistence pace without losing too much ground to the leaders. 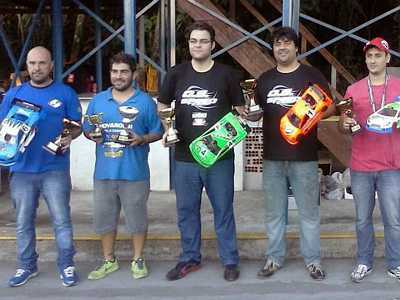 The re-fueling and tire change went prefect for me and I won the race with a margin of 10 laps to the 2nd position car. 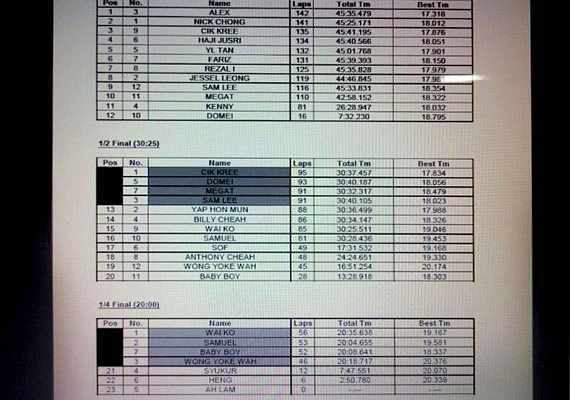 In my 1/10 finals, everything went well and finish 2nd position overall. 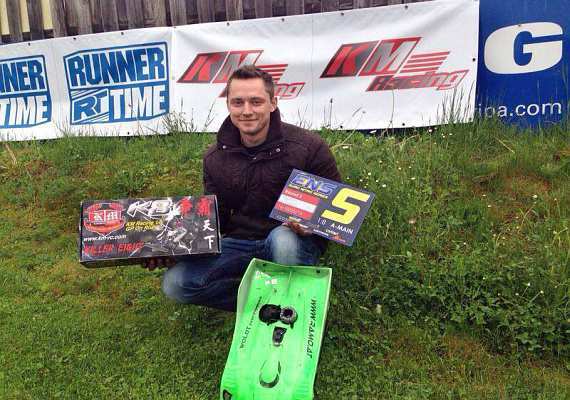 Very happy with my performance and big thanks my sponsor KM & Razor RC for supporting me. Great News From Brazil! ! ! 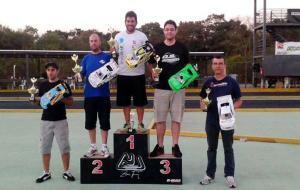 100% score for KM at 2nd round of Brazilian Nationals! ! ! ! 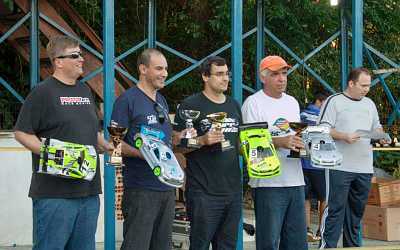 Below race report from KM Brazil Cesar : The Brazilian national championship separated in 4 classes : 1:8 1:10 Masters (35+ year drivers) 1:10 Touring (Sportsman driver, no experts allowed) 1:10 Open (open for all drivers, mandatory for expert drivers) In 1:10 Masters class, the driver Demian Diniz, who attended all 4 classes of the event (!!! 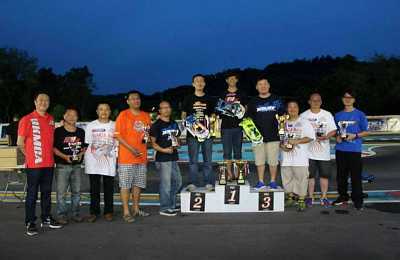 ), won the race and took the tile as he won the 1st round as well. Lincoln Almeida finished on 2nd to make a KM 1-2!!! 1. Demian Diniz – KM / Novarossi 2. 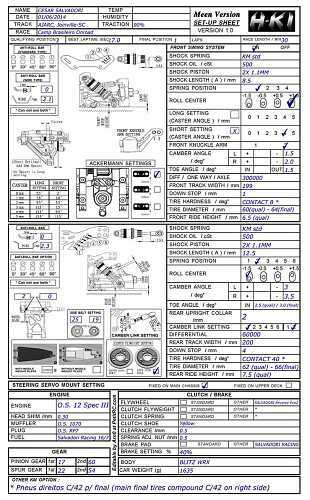 Lincoln Almeida – KM / Novarossi 3. 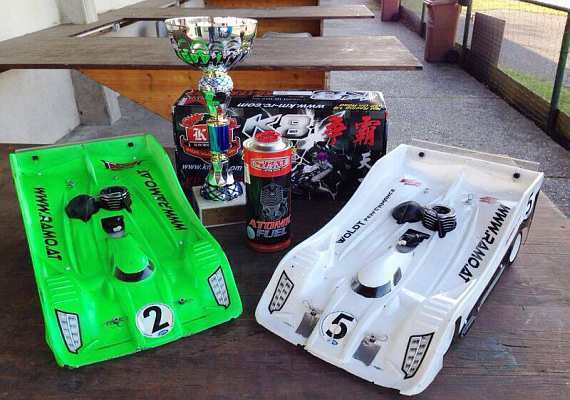 Chrystian Nozawa – Mugen / Sirio In 1:10 Touring class, Demian won again and will fight for the title at the 3rd and final round!! 1. 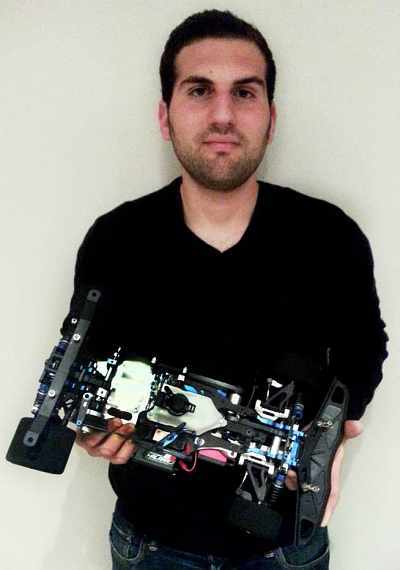 Demian Diniz – KM / Novarossi 2. Otavio Francisco – Mugen / Novarossi 3. 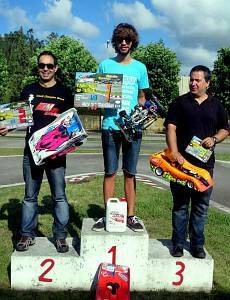 Marcio Chichella – Capricorn / Novarossi In 1:10 Open class, I won the semis and lined up on 1st place for the main final. After a hit on the first corner I dropped to last place but pushed very hard to recover and take the lead at 10 minutes mark to never look back to bring home the win. 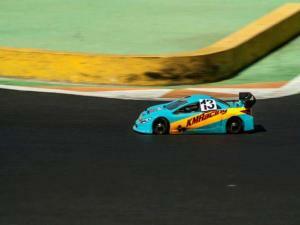 KM drivers Demian finished on 6th place and Lincoln Almeida finished on 12th place. Final Result: 1. 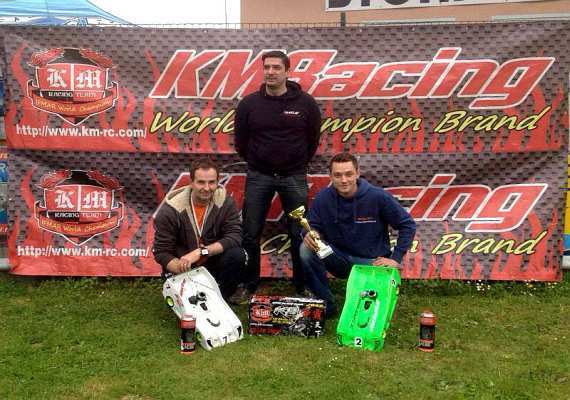 Cesar Salvadori – KM Racing / O.S. 2. Flavio Elias – Mugen / Novarossi 3. 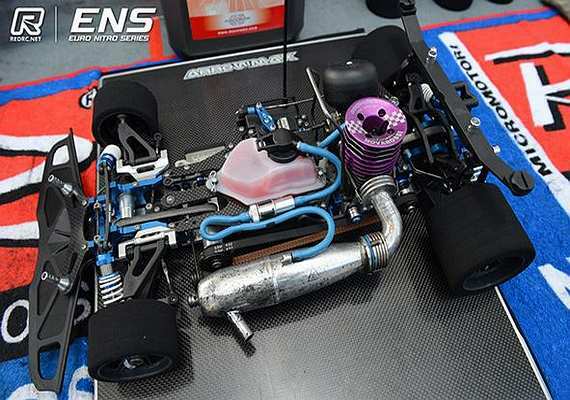 Leandro Campos – Mugen / O.S. 4. Eduardo Dulac – Shepherd / Max 5. Rafael Viveiros – Capricorn / Novarossi 6. 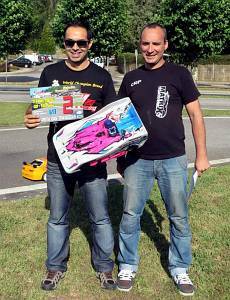 Demian Diniz – KM Racing / Novarossi 12. 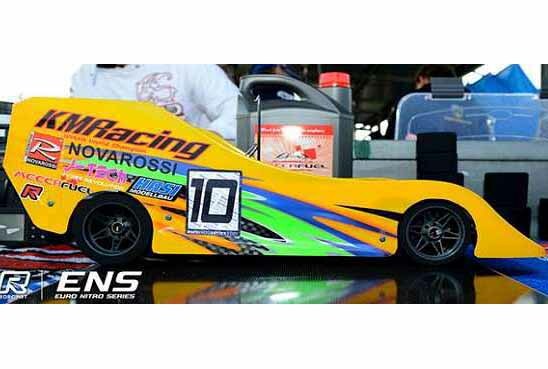 Lincoln Almeida – KM Racing / Novarossi In 1:8 class the strongest winning contender Flavio Elias broke his car after a crash on the rear by other driver right on the race start. My car was hit in the same incident and I ran the whole race with a damaged tire. 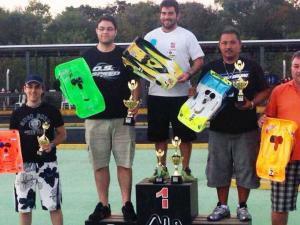 I lead most of the race until a backmarker broke popped off my left steering block. 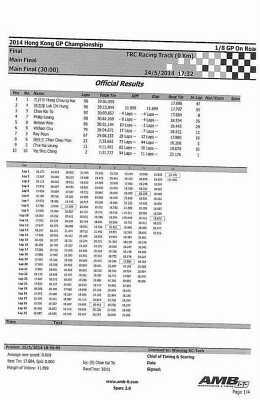 I lost the 1st place and with 2 minutes to finish the race lead Eduardo Dulac has a battery failure and I took back the lead and won the race. 1. Cesar Salvadori – KM Racing / O.S. 2. Eduardo Dulac – Shepherd / Max 3. Kazuo Ohara – Mugen / O.S. 4. 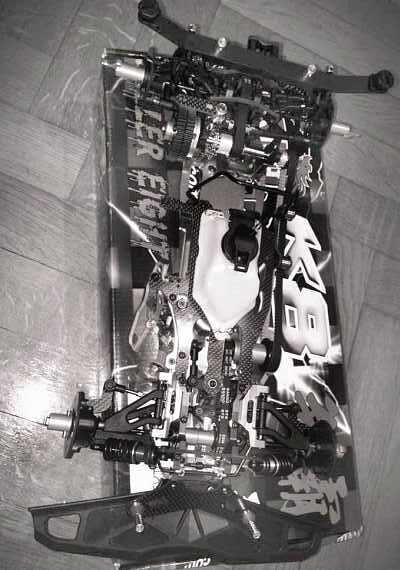 Samuel Prato – Mugen / Novarossi 5. 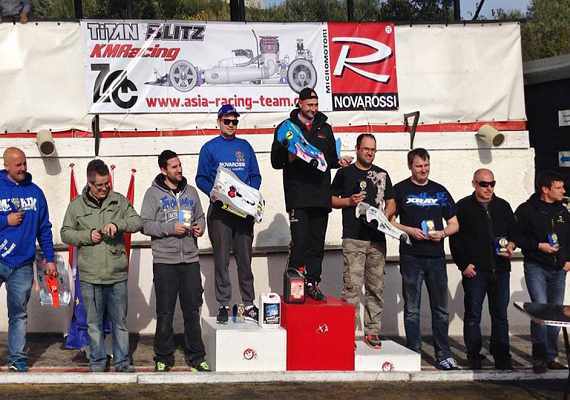 Peterson Parpinelli – Capricorn / Reds Now with only one round to finish the season, I’m alive and fighting for the title on both 1/10 open and 1:8 classes! ! 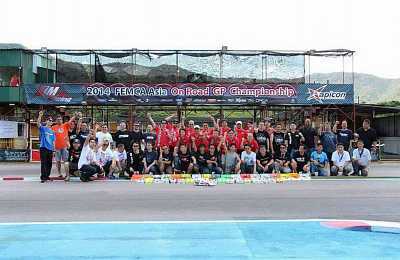 H-K1 and K8 took double TQ and Champion in 2014 Hong Kong On Road GP Championship by Hang! ! ! Good news from ENS ( round 2 ) ! ! ! 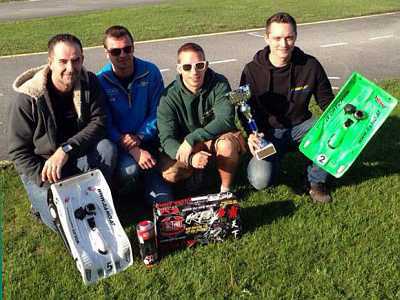 Below race report from Manuel Gremlica : Good result from ENS! ! 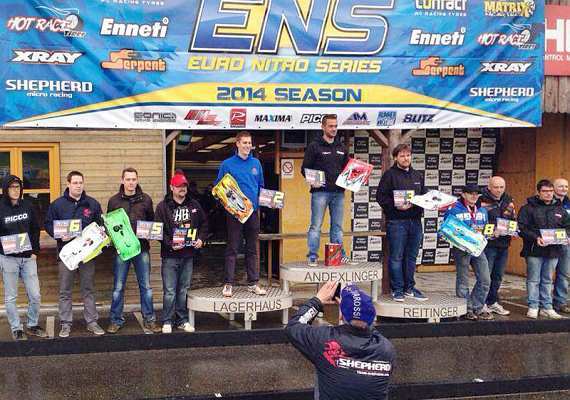 ( European Nitro Series ) I have 25 Min. Lead in the A Main final until the Engine flames out ( very bad luck ) . . . 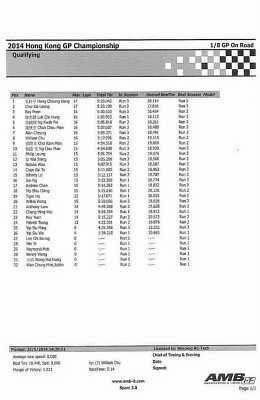 Finally I place 5th among many professional drivers! 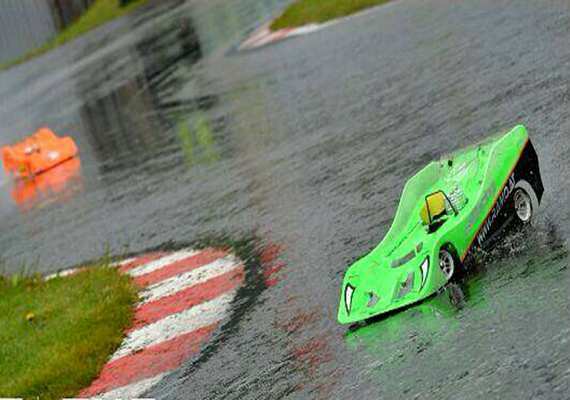 K8 had great handling & lots of steering even in the rain and wet condition! ! ! 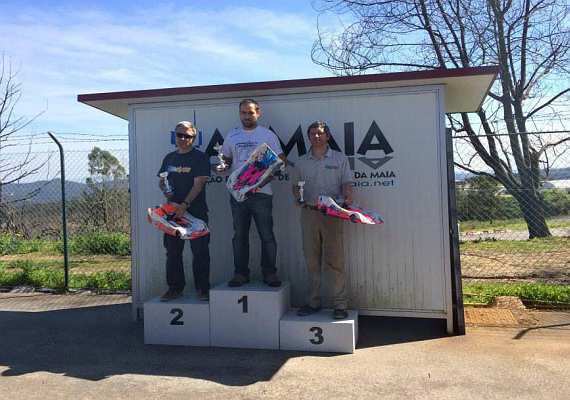 K8 Won In Portugal! ! ! 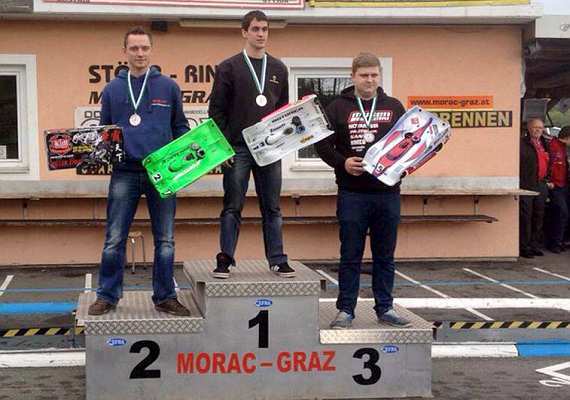 Great news from First Austria GP National Championship! ! ! We have good news from Austria! 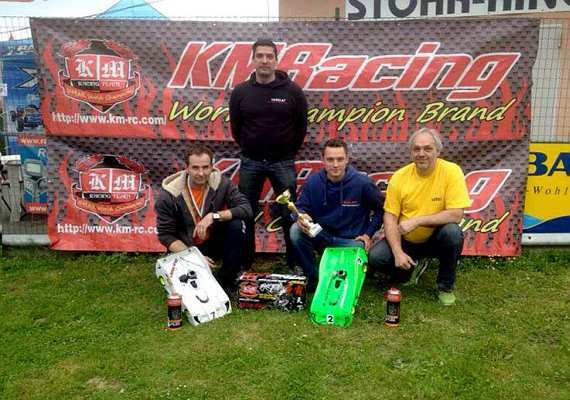 KM team drivers Silvio Hachler first attempt with K8 in the ENS. 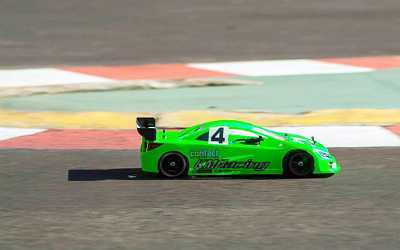 Among many famouse drivers he got good position! 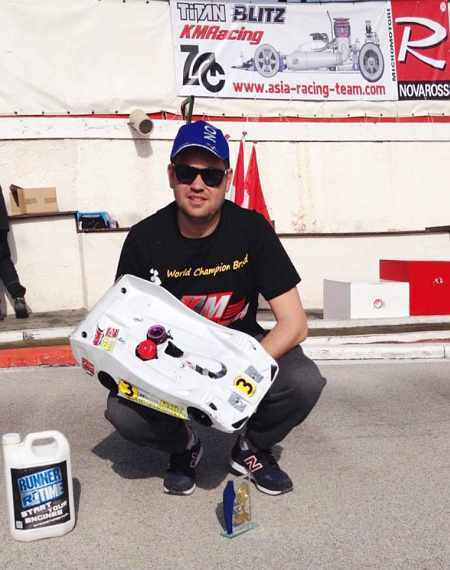 Below race report from Silvio : Thank you very much for giving me the opportunity to attend the ENS with K8 last weekend. The ENS Series is already very big with 130 drivers on place! So we arrived on Thursday evening. 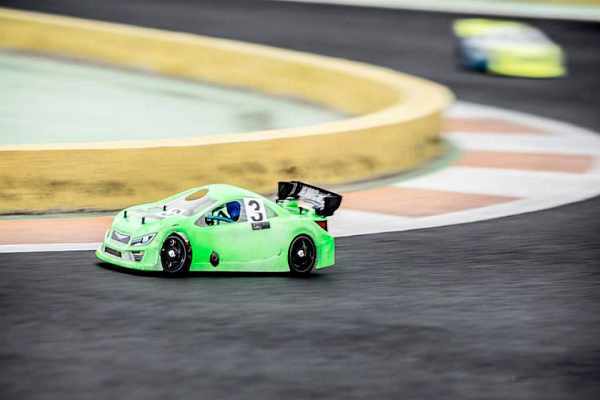 The track was already full and we heard that prodrivers like Pietsch, Collari, Tironi and Leimo and so on were there since Monday….Anyway we started on Friday evening with the second best time with three consecutive laps! 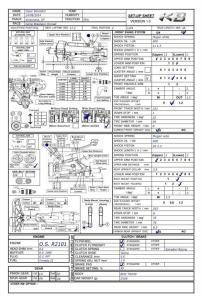 After that we changed this engine and tried another one, which was also good but the first one is better. 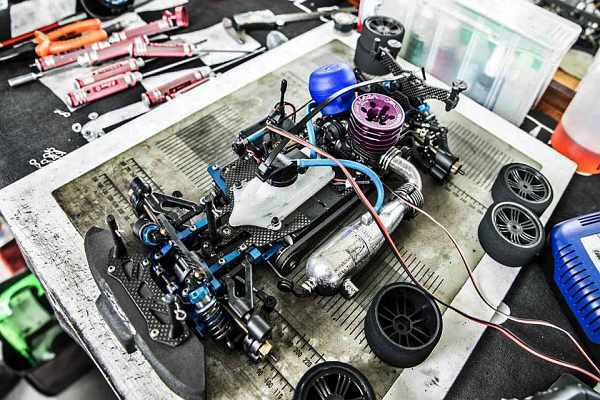 We changed back to the other engine just before the first qualifier on Friday evening.And we were strong. 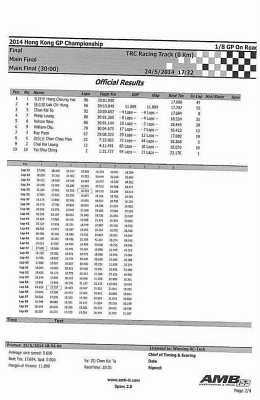 After 4minutes we were just 0.6 seconds behind the TQ! 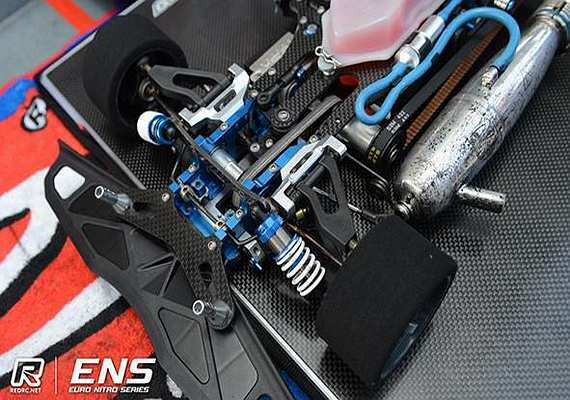 In the second heat we had to retire before it started, because of an loosen screw from the clutch. Thirt Qualifier we used for a safe run, to be in the A main on Sunday. And in the 4th heat I made a mistake and flipped the car.Anyway 10th start position for A main on Sunday. 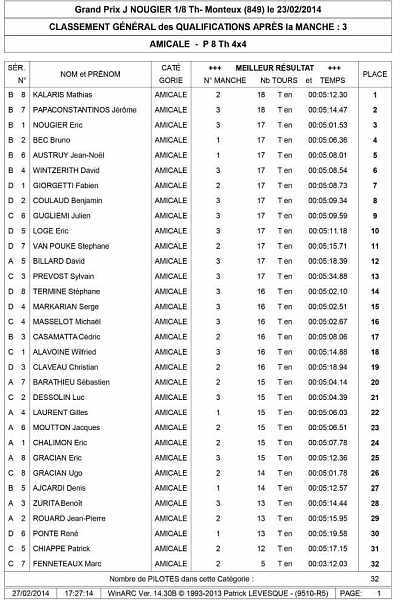 And I had a great start; go in 5th position after 2 corners! After that we drove a 5min fuel stop strategy. All worked fine so far, there is just a very small space to Collari and Pietsch! At the last pit stop, my father had a small accidient by slipping the fuel tank cap and we had 3 seconds longer than the 5th placed driver that he went out pit before me. But I was that strong on the small tyres, that I catched him back in the last lap of the race and back to 4th place! Fantastic car over 45 minutes! ! !So I was really happy how the K8 worked over the whole weekend! Super fast and extremely smooth! 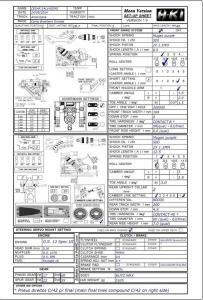 !And I will do my best to learn more about the car and gets even more improve step by step and day by day! ! !Thank you so much for the great car! ! ! ! Good news from Brazil! ! ! 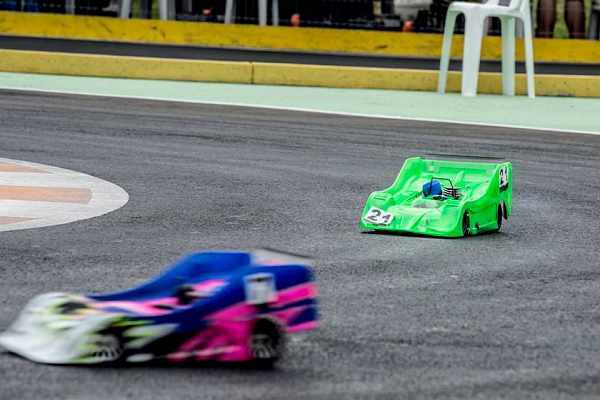 Finally debuted the K8 car during the 1st round of Brazilian nats. 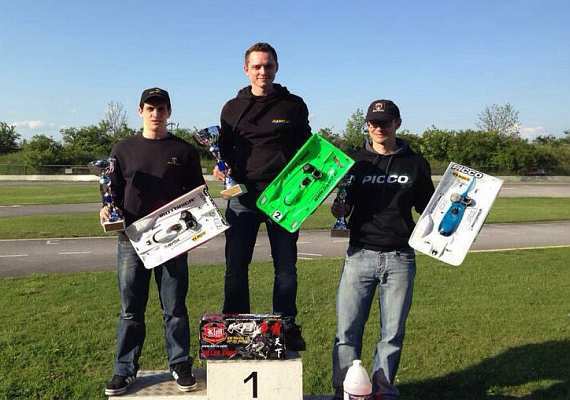 Despite a huge crash due to a stopped car in front of mine at starting grid, I finished 2nd. Very good without much practicing! the car worked very well without any changed part in 3 days of racing. Thank you very much for the great car! ! ! 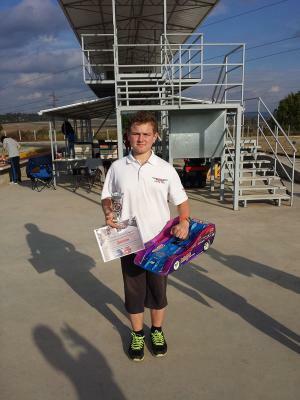 K8 got good results from GP EFRA 2014 ( European GP ) ! ! ! Trust you are well. 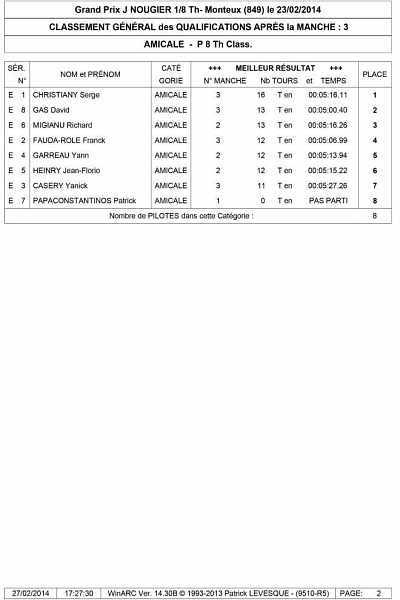 We just come back from EFRA GP in Monaco and we had 2 KM cars in top 10 main final. I finished 2nd after the 45-minutes final. 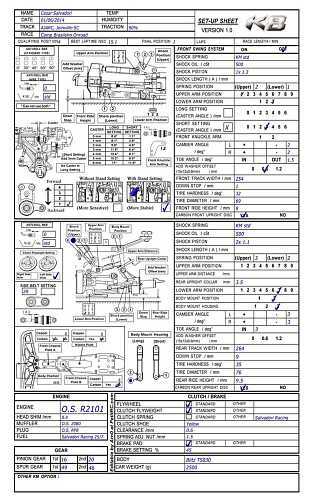 The car was perfect with excellent performance Thank you very much! 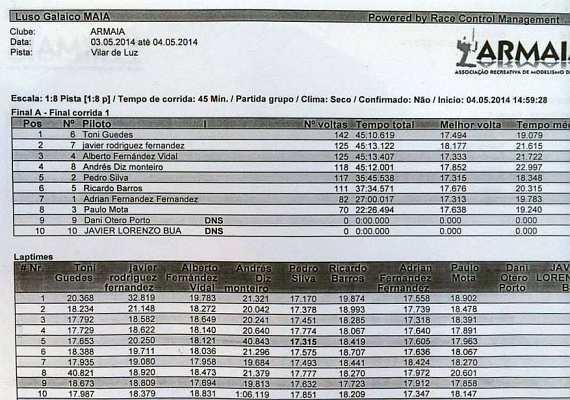 The full name of the race is GP EFRA 2014 ( European GP ) and attached is the full results. 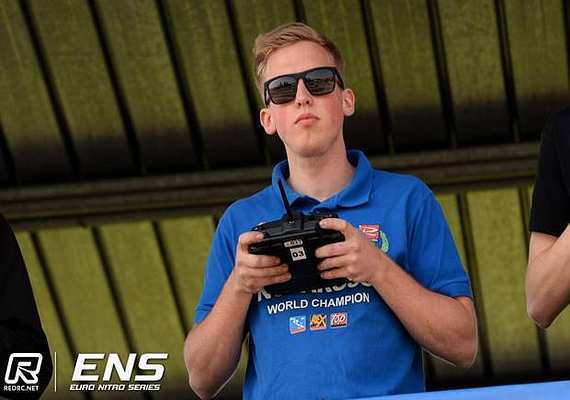 The name of the other driver is Mathias Kalaris ( he was leading and he was hit by another car ). Your car is just awesome! Perfect job from all of you! ! ! 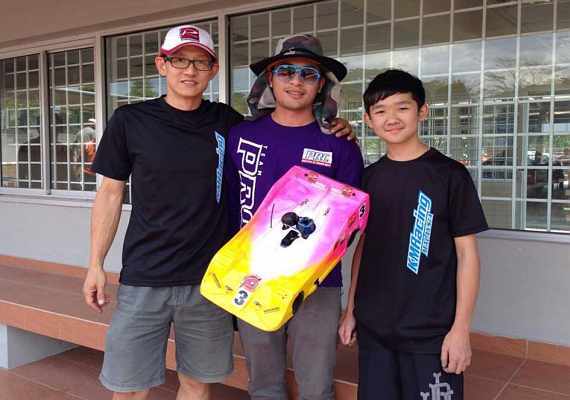 2014 First K8 & H-K1 Double Victories Came From Malaysia! ! ! 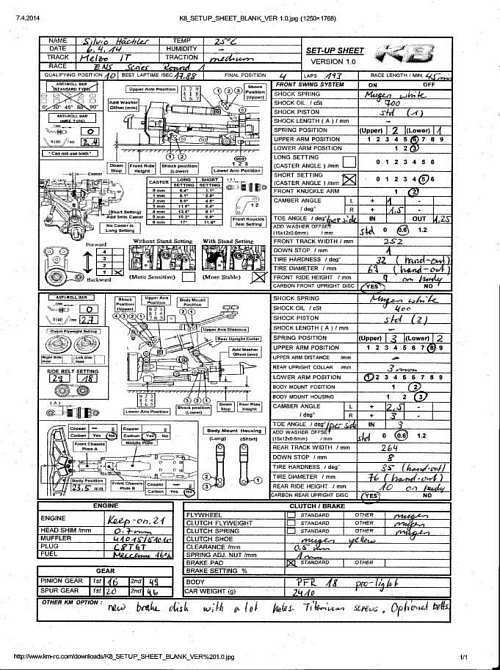 First K8 TQ Came From France! 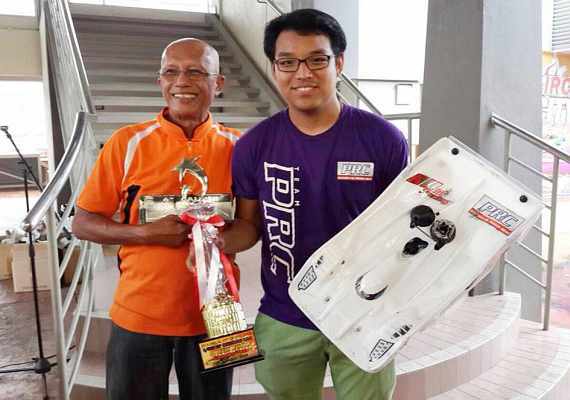 First K8 Champion Title Came From Malaysia! We are sure there will be lots of K8 Champion titles coming from different countries very soon!! !